I am a big advocate for budgeting, finding deals, and buying at the best price. I believe in getting all the items you NEED and LOVE without spending too much on them. I’m intentionally not calling it saving. Saving implies scarcity. Buying at the best price means smart shopping. Chasing discounts on overpriced items not always equal to less spending. Although the discount can be a huge saving compare to the original price of the item, but still not smart if you can get the same item for an even lower price from a different retailer. * This post may contain affiliate links, which means I may receive a commission if you click a link and purchase something we have recommended, at no cost to you. For more details, you may view our disclosure policy. There are additional things to consider as well. How far you have to drive to get that $5 discount? Are you only going for that one item, or you will do the rest of your shopping in the same store? If you do the rest of your shopping there as well, how the prices of the other items compare to those in a closer shop? If buying online, will the item still be the best buy after adding the postage amount to it? There is a lot of buzz about savings, coupons and cashback sites on the internet these days. These ideas may help to achieve the goal of shopping and saving, but they can just as easily lure you into impulse buy territory, and once your are in a shopping mode, you may spend more than you have intended. When we see that something is 25%, 50% or even 80% off, we feel the urge to grab the bargain even when we could do without it. You must be able to say “NO” to these. When shopping for my family online, I do a little research on the item first. I like to look around to see the offers of different advertisers. 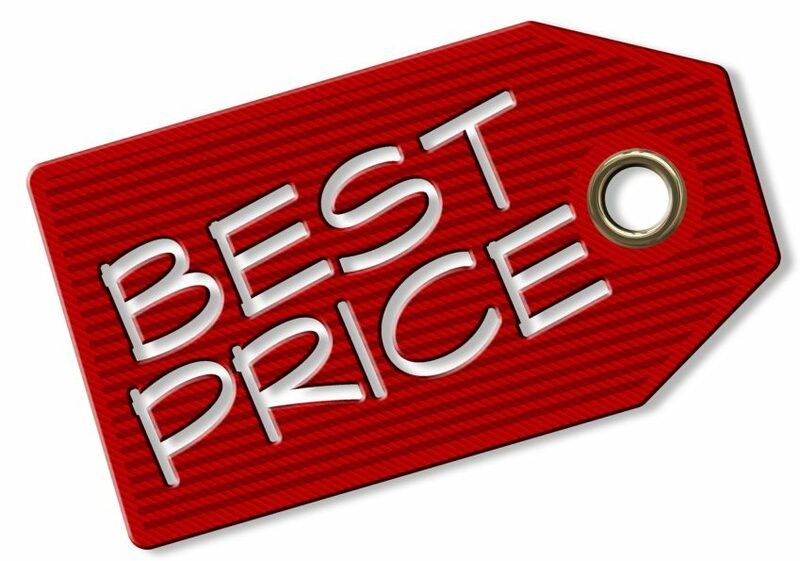 I find out the selling price from 3 or more different vendors to get a feel for the average price of the product and I buy from the site that has the best price including the postage. When purchasing online, the additional postage must be taken into account when we are comparing prices and deals as a free shipping offer may make all the difference. I may or may not use comparing sites, as they are usually get their cut from all of those who they are comparing, and they might exclude some cheaper vendors, who are not paying them. If I really want to get the best price, I do the comparing myself. A lot of times after getting familiar with the online retail prices, I run into a local store, where I can buy the item faster and cheaper. Other times it is cheaper to order something online even with the postage. As you can see, it’s key to be familiar with the usual prices of offers and to keep our eyes open for the real bargains. After the forewarning above, let’s see who can benefit from Coupons, Cashback sites and Rewards cards. Coupons can be a great way to save money. You might receive coupons in the mail, or they are printed on the backside of your shopping center docket, printed in the local newspaper. I love pizza, and even if it is on my restricted food’s list for not being too healthy, we do indulge in it sometimes. So why not use the Domino’s coupon code? allthedeals.com.au is your one-stop-shop for all the online coupons there are in Australia. Coupons can help to cut back on the prices of things you need and use and they are usually issued quite regularly. I’ve heard lots of my friends who live in the US talk about Ebates and I have found it very intriguing but did not look into it until recently. In my honest opinion it can be great for some, but won’t suit everyone. Who can benefit from these cashback sites? These can work for those who frequently shop online such brands as BONDS, Cotton-On Kids, Esprit, Fila, Lacoste etc. If you do most of your shopping in the local shopping centre, than you are not going to see lot’s of coins rolling back to you. You shop through the Cash Rewards website and you receive a cash percentage back from the online retailers you purchased from. Note that it’s not an immediate cash back and depending on the retailer’s policy, it can take up to a few weeks to receive it. However the cashback amount could be as high as 7% of the original purchase amount. WARNING! Don’t log-in to brows bargains, unless you are very clear on what do you need and the item you intend to buy is listed on your budget for the week. Otherwise you will end up with over the budget expense, and if you used a credit card for the purchase, you can write off most of the cashback rewards as interest payments. Of all the cashback websites in Australia, Cashback Club offers the highest amount of monies returned, guaranteed. But as I have suggested before, do your homework first and find out what is the average market value of the item you want to buy. Cashback Club partnered with thousands of retailers offering millions of products and services, meaning you can receive money back on almost anything you purchase online. The number of products and services on offer is growing by the day, as more and more retailers join Australia’s number 1 online shopping cashback website. The site makes it easy to find a deal that might suit you without having to sieve through hundreds of deals not relevant to you. Rewards credit cards usually have a higher interest rate and a certain interest free period. If you pay off your outstanding balance each months, meaning, you keep your account interest free, than the reward points for shopping will add up and indeed, will be an extra bonus. However if you go over your interest free period, and start paying interest on the out-standing balance, the reward points will hardly be enough to offset the interest to be paid on your expenditures. Shop with an open eye and only buy what you really need. Happy shopping! I need to take some of your advice. So many great ideas! I didnt know about the cash back places, so I definitely learnt something! Very informative. Thanks so much for the advice.